I hope everyone’s holidays were enjoyable. If you didn’t get a chance to check out the New Year’s Kisses party at Kay Berrisford‘s and Tara Lain‘s blogs, head on over. There’s still time to enter to win prizes, as the contest is open until the 7th. As for me, I’ve been working on the my next book, which is a sequel of sorts to Close Quarter. We leave Silas and Rhys for a bit to follow what happens to Vasil after the events in Close Quarter. I’ve tentatively titled the book Strong in Spirit and it takes place, as I’ve said previously, in Istanbul. I’ll be doing The Next Big Thing blog hop soon, so I’ll have a bit more about the book then. In the meantime, I’ve been going through old vacation photos from my trip to Turkey for inspiration. The first photo is of the Spice or Egyptian bazaar. 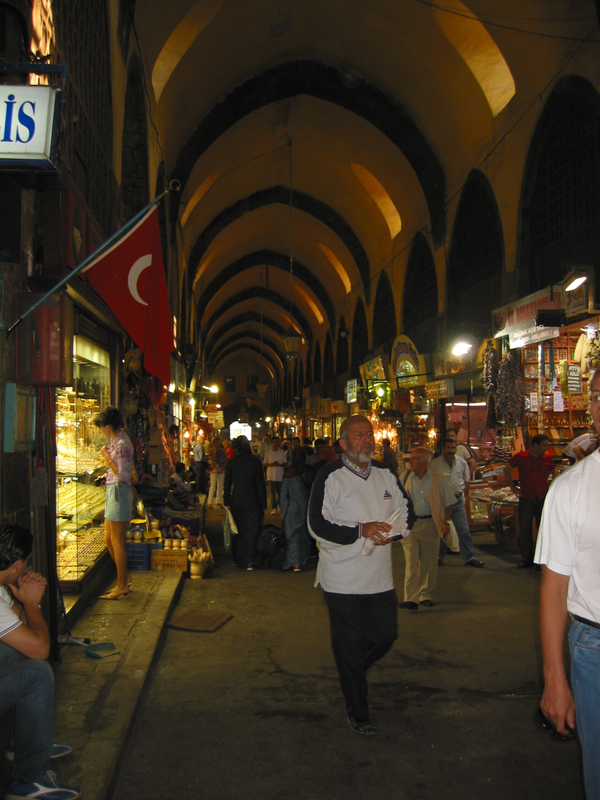 There are several such bazaars in Istanbul, both open air and cover like this one, including a book bazaar. 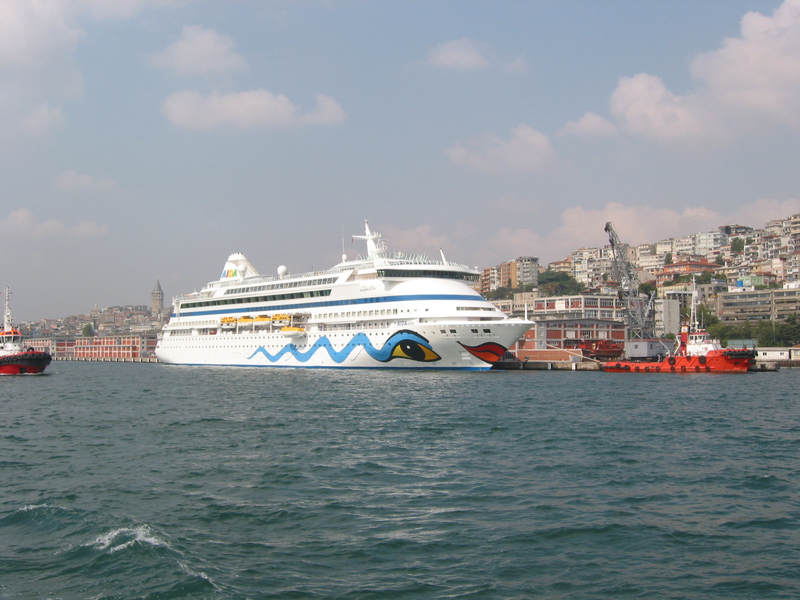 The second photo is of a cruise ship on the Bosporus. Vasil isn’t working for the cruise line anymore, due to… uh… stuff happening (poor guy). But he’ll see reminders of his previous life fairly often, as the Bosporus is a busy shipping lane. Cruise ship on the Bosporus (Boğazı). The third photo is of old and new buildings along the strait. Istanbul has been a major city more more than 1,700 years, so you get an intermingling of styles, all built on the bones of the previous city. 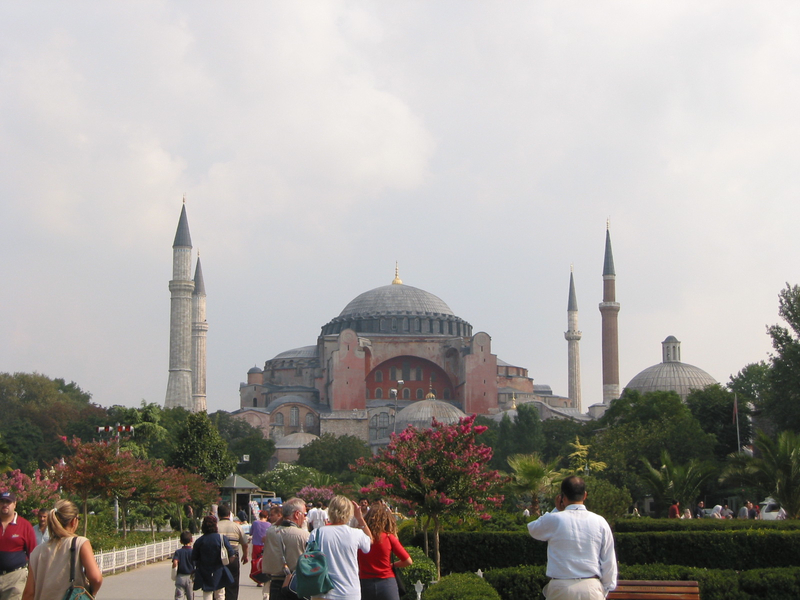 The fourth Photo is of the Hagia Sophia or Holy Wisdom, the great Basilica that Justinian, completed in 537. It was the third church on the site and was in continuous use until 1453, when it was converted to a mosque with the conquest of Constantinople by the Ottoman Turks. 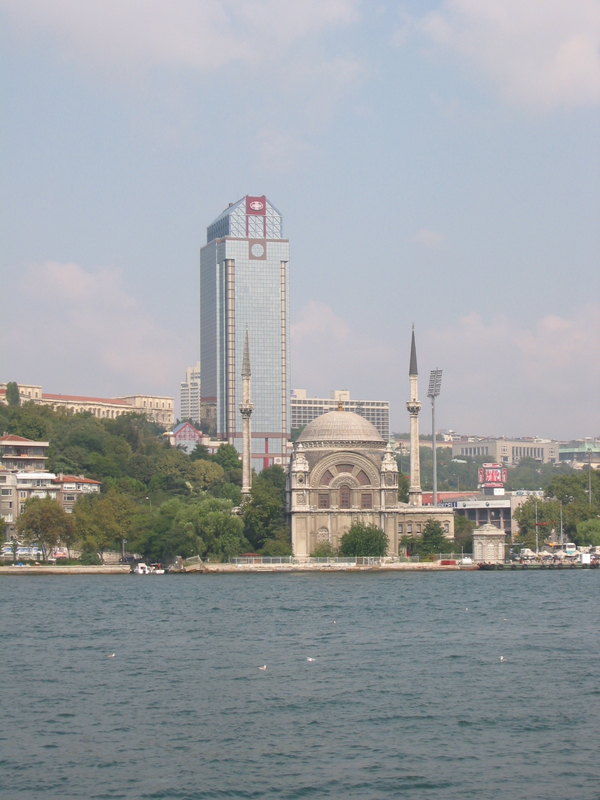 It became a museum in 1935, with the founding of the Republic of Turkey. Vasil is faithful, in his own way, so the Hagia Sophia does hold some meaning for him. 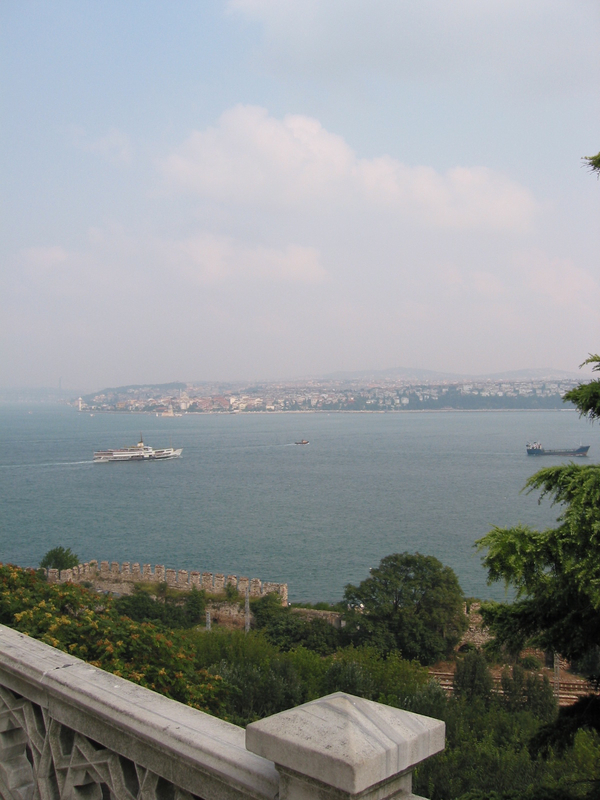 The last photo is a view of the Asian side of Istanbul from the Topkapı Palace. Istanbul is a beautiful, huge city. View from the Topkapı Palace. It’s hard to believe that it’s been 10 years since I traveled to Istanbul. I’m ready to go back… if only in a book this year. Hope you’ve enjoyed a little peek at where Vasil will be spending his days. Though, he might be too busy to enjoy the sites… we’ll see.